Clyfford Still by some was thought to be somewhat of a curmudgeon. This November, four rare works by Clyfford Still come to Auction at Sothebys in support of the long awaited museum in Denver devoted to the elusive master of abstract expressionism. The challenge is that the museum will be devoted to one artist. With an agreement with Denver and Still’s widow, Patricia. The Still will be opened. Still who died in 1980 at the age of 75, had bequeathed his collection to an American city that would keep it intact and display it in isolation from the work of other artists. Denver competed with 19 other cities to acquire the collection. Sothebys Auction on 9 November will be selling 4 masterworks by Still to further support the museum’s endowment. The primary mission is to move this artist’s reputation back into the top echelon. Clyfford Still was an early and groundbreaking Abstract Expressionist who found much in common with like-thinking peers in Mark Rothko, Jackson Pollock and others connected with the New York School. Still reserved 94 percent of his oeuvre for himself making the works some of the most intact in history. The new director of the museum Dean Sobel formerly of the Aspen Art Museum, which operates on a European Kunsthalle model and thus does not have a permanent collection. We hope this single artist museum in Denver lives up to the likes of the Van Gogh in Amsterdam, the Zentrum Paul Klee in Bern and the Warhol. 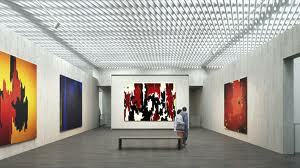 Opening week of the Clyfford Still Museum in Denver will be Mid-November 2011. Michael grew up around Santa Fe and is a longtime resident of Boulder and has been with Sotheby’s International Realty since their inception in Boulder County and along the front range. If you have questions regarding this article or would like information about Boulder real estate or Boulder Luxury Real Estate check out my website. You may also call or TEXT me 303-359-6627 or e-mail Michael Hughes is a Certified Negotiation Expert and full time Realtor at Fuller Sotheby’s International Realty in Boulder, CO.